Well Christmas is over (*sob*) but it's still December. I hope you all had an amazing Christmas. 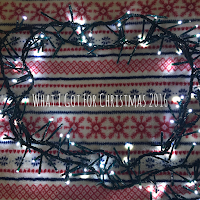 The past few days my Youtube subscription box has been full of 'What I Got For Christmas' videos and I've read so many blog posts as well. 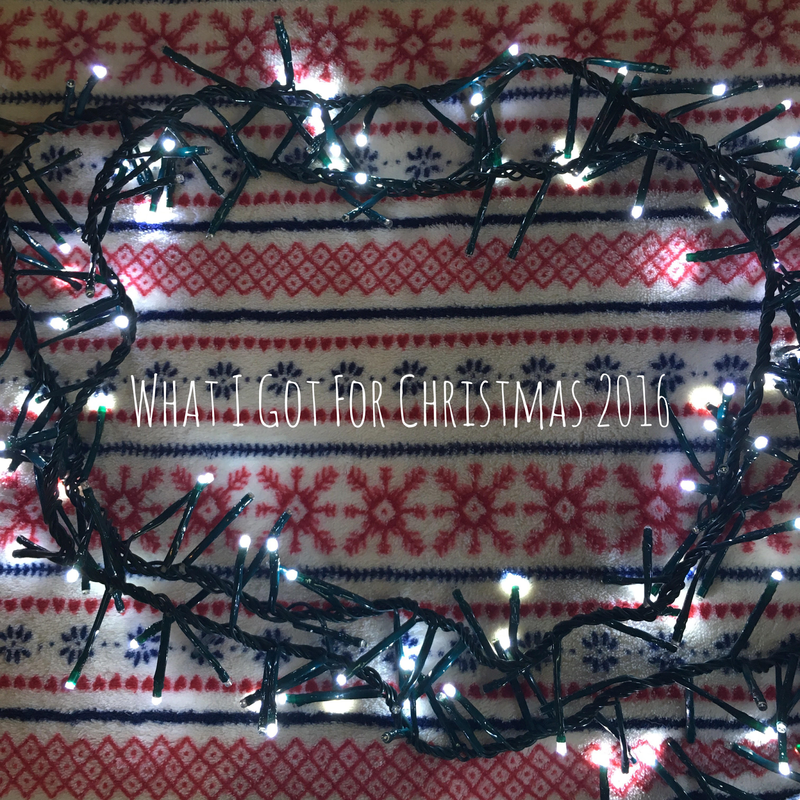 I love seeing what people got so I wanted to do my own post in case you are as nosy as I am. 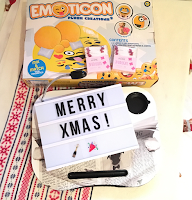 I love pyjamas and being comfortable so when I recieved two pairs of slippers, pj's and a dressing gown on Christmas morning I was so excited. The pj's are slightly oversized so they are that bit more comfy and the dressing gown is longer than I'm used to and it's so soft! Another thing I got for Christmas was books. And lots of them! 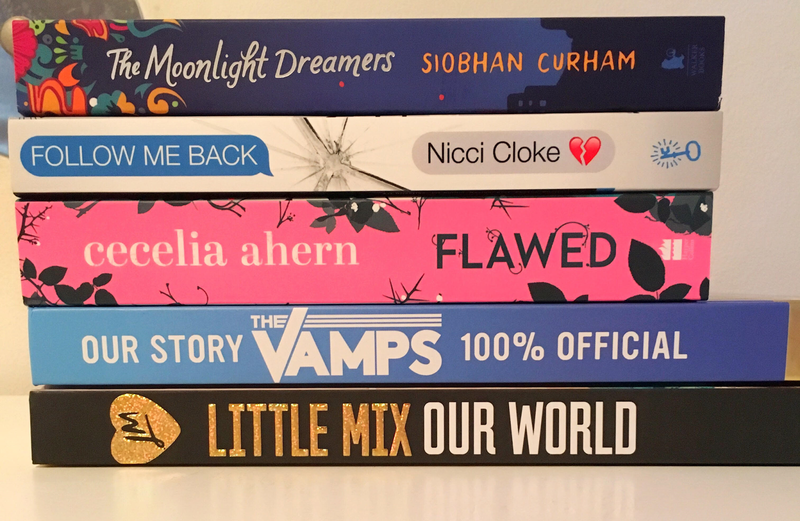 I love reading but I've run out of books to read so I made a list of books I thought would be interesting and my mum got me some of them. 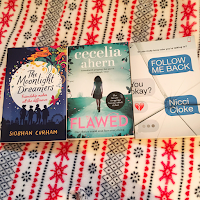 The three fiction book I got are 'The Moonlight Dreamers' by Siobhan Curham, 'Flawed' by Ceclia Ahern and 'Follow Me Back' by Nicci Cloke. 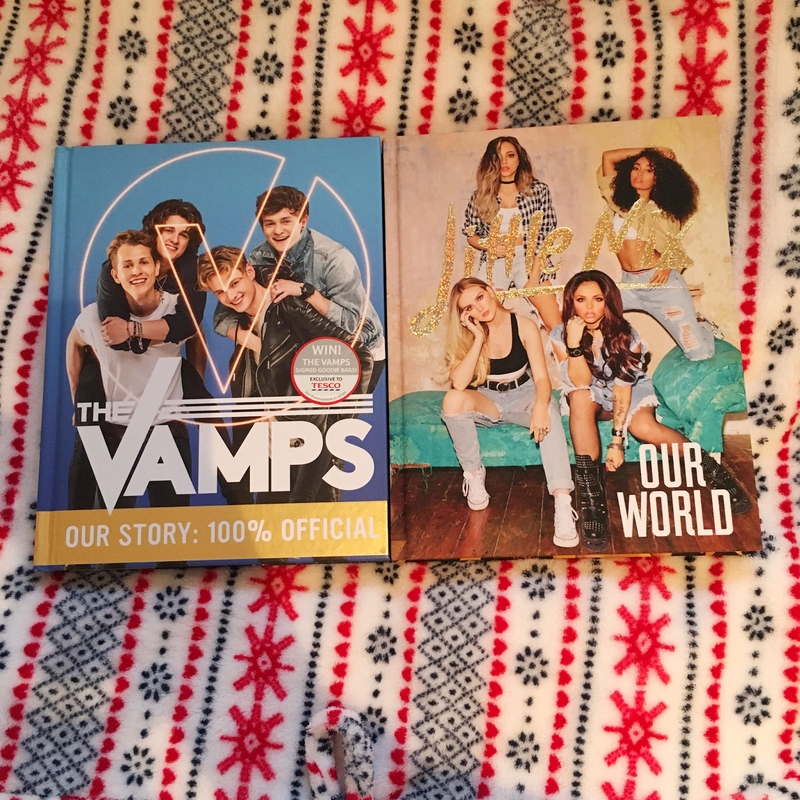 I also got 'Our Story' by The Vamps and 'Our World' by Little Mix. 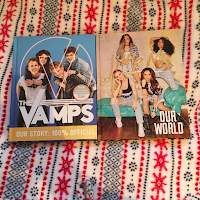 I love The Vamps and Little Mix so I really wanted their books. 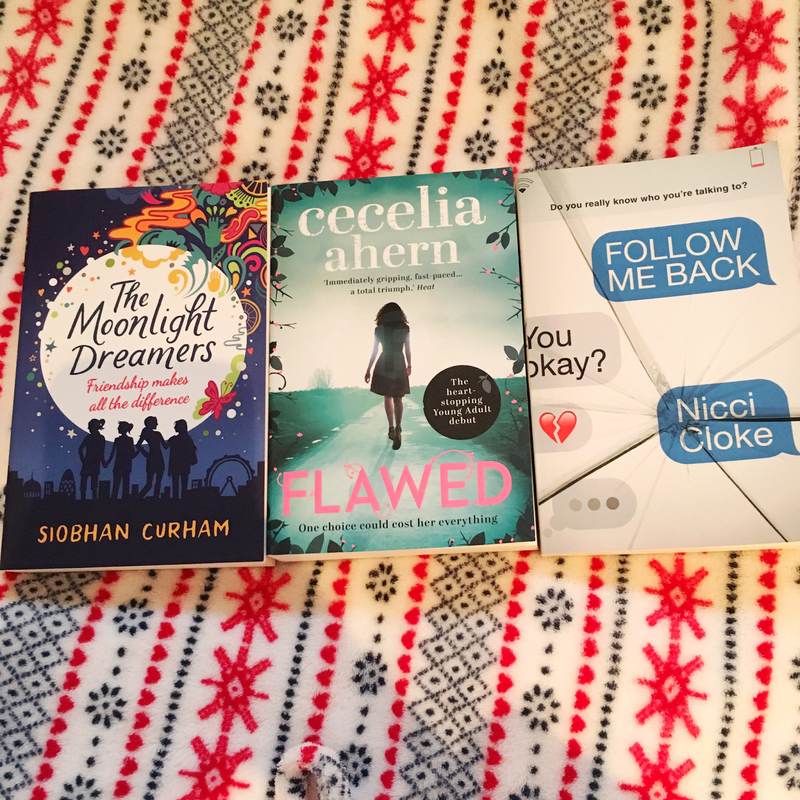 I haven't read any of these books yet but I might do reviews of them once I have. 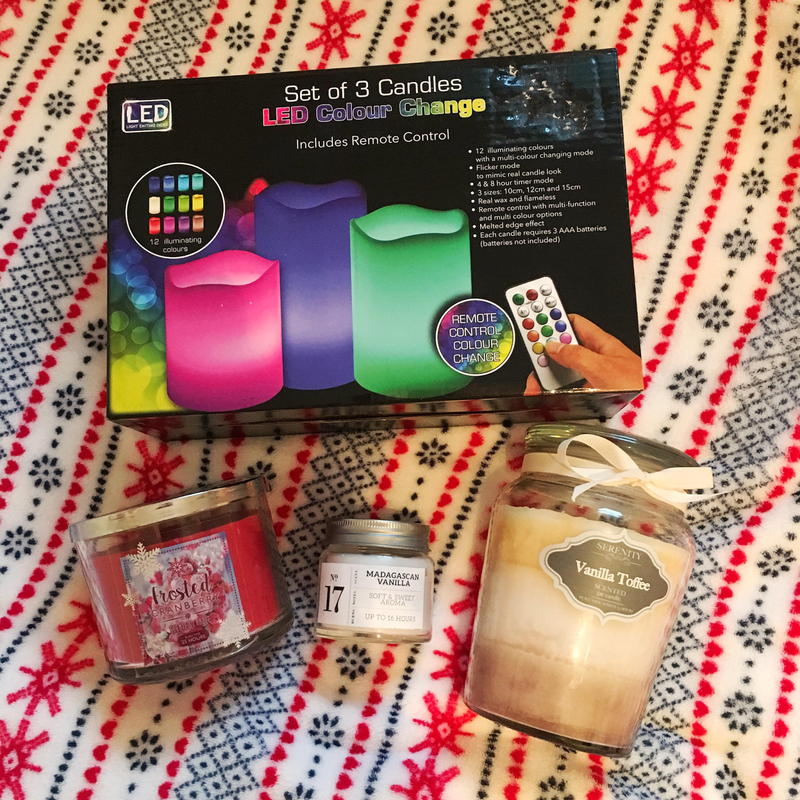 My family know I love candles so they made sure I was well stocked up. 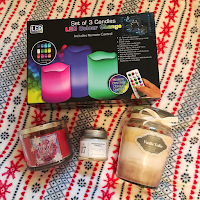 I got the candle from B and M Bargains which I mentioned in my Last Minute Gift Ideas post. I also got a candle from Primark which is in the scent madagascan vanilla and another candle which smells of vanilla toffee but I'm not sure where this is from. Then I got some light changing candles which is handy because my cat Fitz doesn't understand candles and flames so whenever I have a candle lit I need to make sure she doesn't dip her tail into the flame. 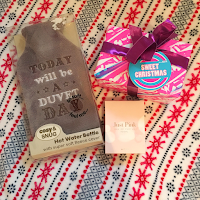 The next thing I got was a mini hot water bottle which is the perfect gift for me because I'm always cold. I also got the Sweet Christmas gift set from Lush which has three products in it that are all Snow Fairy scented. Then I got a perfume from Next which is called Just Pink. It smells so nice and the bottle is so pretty. 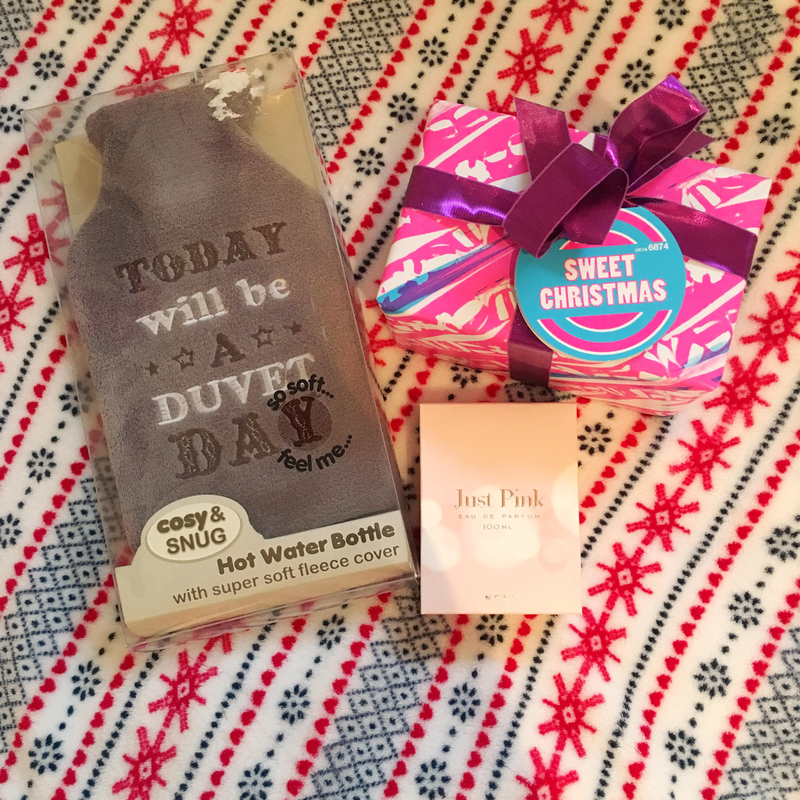 The last lot of gifts I recieved that I'm going to show you today are all random but really cool. I got a DIY emoji cushion set. So you get two small cushions and two bigger ones, the stuffing to stuff them with and the faces which you can sew onto them. I'm really excited to use that. Then I got something which is really practical. It's a laptop tray so that I can sit in bed and do my homework. This is great because although I have a desk, the room it's in gets really cold in the winter. Finally, I got a light up letter box. I don't actually know what they're called but they have been everywhere recently. I did mention this in my Last Minute Gift Ideas but I wasn't expecting to get this because I have almost no space in my room but I got it and I think it's really nice so I'll just find somewhere for it. So that is everything I'm going to show you. If I showed you everything that I got for Christmas we would be here for ages. I love everything I got and this post wasn't me trying to brag or boast. I just love seeing these types of posts and videos. Le me know your favourite gift you got for Christmas and what you got up to on Christmas Day.